Mongolian Copper Corporation approved “Future of Erdenet – 5 Goals” program in 2016. Mongolian National Chamber of Commerce and Industry held its annual ceremony, “Entrepreneur 2017”, and announced the business sector outperformers of 2017. 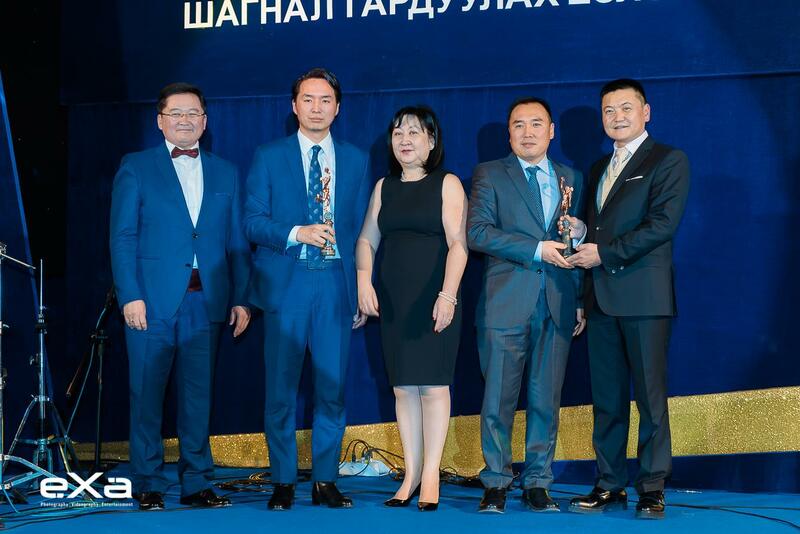 Mongolian Copper Corporation was awarded “BEST CORPORATE GOVERNANCE OF THE YEAR”. Mongolian Copper Corporation approved “Future of Erdenet – 5 Goals” program in 2016. Accordingly, we have started several initiatives at Erdenet Mining Corporation (EMC), such as increasing transparency, introducing international best standards, increasing competitiveness, and increasing miners’ salaries and benefits. Our goals started to materialize in 2017 as the number of purchases through tender announcements increased 400-fold, compared to the previous year, thus providing equal opportunity to the national suppliers and producers. Through its 49 percent ownership, Mongolian Copper Corporation is increasing efficiency and introducing best practices at EMC. Although the year 2017 presented us with a number of challenges, we have prevailed. We truly appreciate Mongolia National Chamber of Commerce and Industry’s acknowledgement of our efforts. In collaboration with our colleagues at the mine, we are striving to make Erdenet Mining Corporation one of the leading mining corporations not only in Mongolia, but in Asia.